Venezuelan opposition leader Juan Guaido is moving ahead with plans to try to bring in humanitarian aid through the Colombian border city of Cucuta, where the U.S. government will transport and store food and medical supplies destined for Venezuela. Cucuta has become a destination for many Venezuelans either seeking supplies or a new home in Colombia or elsewhere. The city of 630,000 is the busiest border crossing between Venezuela and Colombia. Some 3 million Venezuelans have left since 2015, with 1.2 million settling in Colombia. The Venezuelan opposition has said that once the aid is stockpiled in Cucuta, it will try to move it into Venezuela, defying Nicolas Maduro's government, which has refused offers of aid from the U.S. and other Western nations. The move will be a test for Venezuela's military, which is deployed on the Venezuelan side of the border crossing and will have to choose whether to obey Maduro's orders, or allow the much-needed supplies into the country. The city of 630,000 is the busiest border crossing between both countries. Each day around 50,000 people enter Colombia through Cucuta, mostly Venezuelans in search of food, medicine and medical treatment that is not available to them at home. 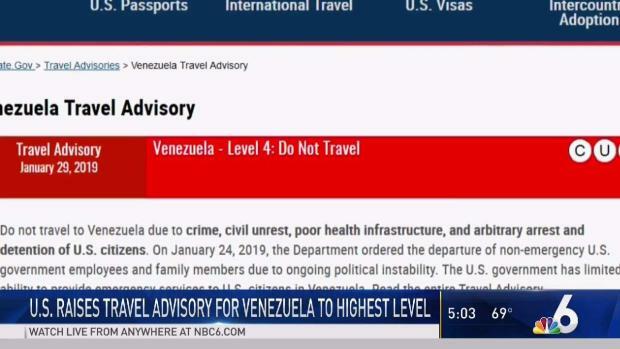 Many are also leaving Venezuela for good. According to the United Nations, 5,000 Venezuelans leave their country each day to escape the economic crisis. Some 3 million Venezuelans have left since 2015, with 1.2 million settling in Colombia. Other popular destinations include Peru, Ecuador and Chile. WHAT DOES THE BORDER LOOK LIKE? 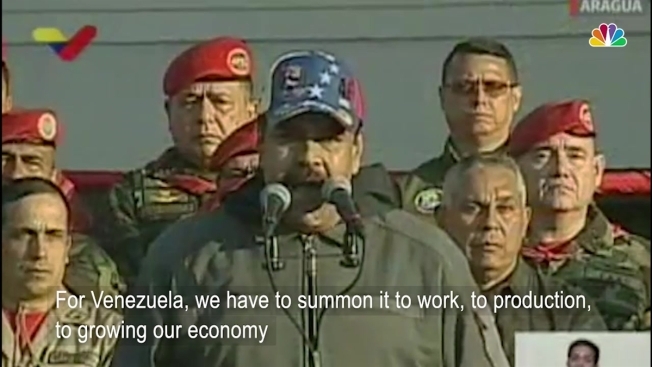 In 2015 Maduro shut down the border between both countries, claiming that it was being used by criminal gangs to smuggle price-controlled gasoline and food out of Venezuela. The border was re-opened a year later, but only to foot traffic. Today thousands of people enter Cucuta by walking across two bridges connecting the two countries. Those without proper documentation to enter Colombia use clandestine trails and wade across a river that marks the border. Some of those trails are believed to be controlled by smugglers and heavily armed criminal organizations, including the National Liberation Army, a Colombian guerrilla group. WHAT IS ON THE VENEZUELAN SIDE? There are two small towns on the Venezuelan side of the border, San Antonio and Urena, as well as the city of San Cristobal, population 600,000, about an hour's drive away. Hospitals there have reported they are desperately short on medical supplies and San Cristobal could be one of the first places where aid is directed, if it gets through. HOW COULD AID BE SENT THROUGH? The opposition has provided few details on how it plans to transport aid into Venezuela, but the most likely transit point is the Simon Bolivar International Bridge, which is guarded by Venezuelan and Colombian troops. Several aid groups already run operations in Cucuta, including the Red Cross, the International Rescue Committee, UNHCR and the World Food Program. None of these groups has so far expressed interest in participating in the planned aid operation.